Ten years before some travel agencies started a new kind of holiday acomodation to Sporades islands. Sporades are a complex of three islands, Skiathos, Skopelos, Alonnisos. 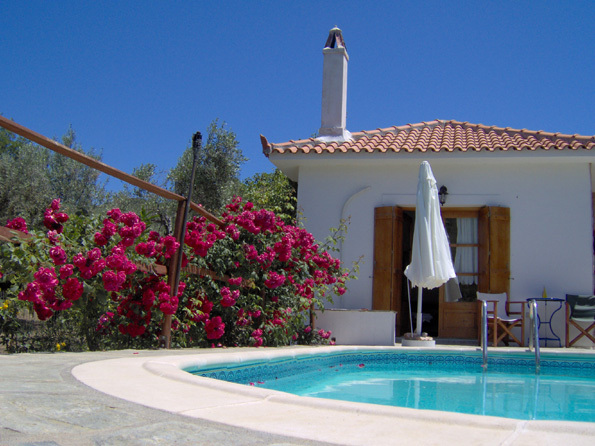 People in skopelos own many country houses. These houses were used from older inhabitants for living. People on this island were farmers and caltivators. They stayed all the time in the country. Thats why they built all these little cottages. Today people in skopelos are renovating an old country house. They place new furnitures. A fridge, TV, AC, CD player, toaster, coffee maker, etc. They offer in visitors all modern anemities as are matched with surroundings. Owner likes to hire a car for you if you wish. You need a vehicle to drive from house to the beach, to the town, or the market place. In Skopelos can rent or hire a car a jeep a motor bike a bike or a bicycle. Usually owner is on the port of Skopelos as you arive to welcome you and drive you to the house. People in Sporades islands are famous about their hospitality. Lets talk a little for the pool now. The beach is usually 1,5 Km from the house. Some country houses are built high in a mountain. The distance to the beach is max 3 Km. 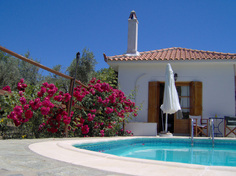 People are visiting Skopelos for holidays like to swim in a pool by the side of the house. 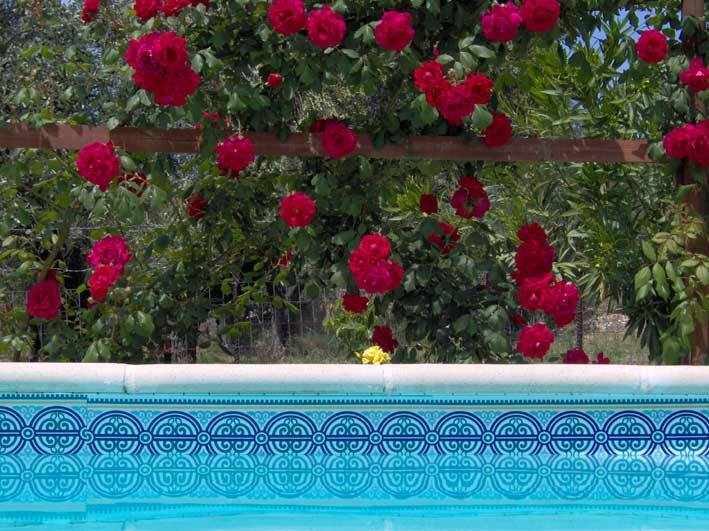 The owner care about the functioning of the pool. The freshening of water the ideal pH are some kind of care he must does every three days about. 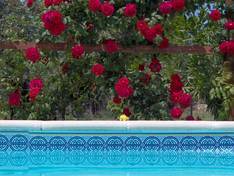 Country houses are provided on internet web sites and you can locate them if you search the word keys like skopelos villas or skopelos country house .